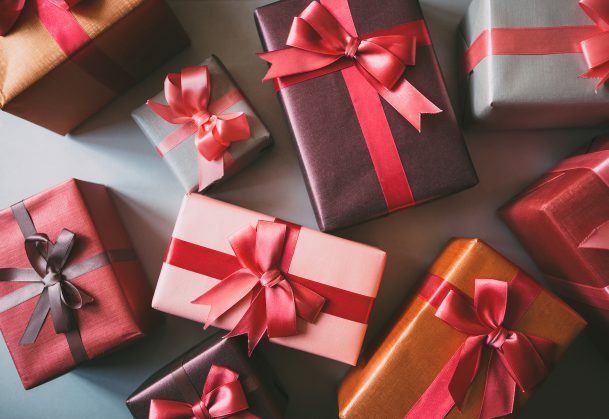 Gift givers often make critical errors in gift selection during the holiday season, according to a new research article in Current Directions in Psychological Science, a journal of the Association for Psychological Science. The research, led by Jeff Galak (Carnegie Mellon University Tepper School of Business) and co-authors Elanor Williams (Indiana University Kelley School of Business) and Tepper School Ph.D. student Julian Givi, suggests that gift givers tend to focus on the moment of exchange when selecting a gift, whereas gift recipients are more focused on the long-term utility or practical attributes of the gift. Giving socially responsible gifts, such as donations to a charity in the recipient’s name, which seem special at the moment of gift exchange but provide almost no value to recipients down the road. The researchers make recommendations for those hoping to choose better gifts, advising them to better empathize with gift recipients when thinking about gifts that would be both appreciated and useful. I think it’s misguided that you discourage charitable donations as a gift. I’m on a fixed income and don’t have much discretionary money. It pains me not to be able to give more to charities, so I would welcome the gift of someone else’s donation on my behalf. The thought of all the good the money can do is definitely of long lasting value to me. As the author of The Gift Counselor, I enjoyed your article. You point to one aspect of gift-giving, namely the gift’s worth to the recipient over time. A valuable consideration. My novel asks and answers the question, Do all gifts have strings attached? Gift-giving deserves further psychological investigation. Thank you for your interest.